What better way to share our spectacular blueberries than with a party! Join us as we celebrate “everything blueberry” at our annual Blueberry Bash. 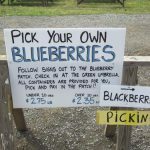 Enjoy a visit to our 2-acre Pick-Your-Own blueberry patch. 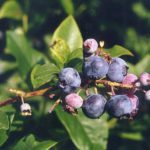 These sweet summer berries are on bushes that are easy for everyone to reach. After you’ve picked your blueberries, relax and enjoy some country music (12pm-4pm both days). 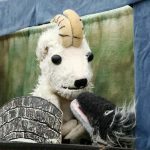 Enjoy a puppet show presented by Tuckers’ Tales Puppet Theatre on Saturday and Sunday at noon and 1:30p.m. Suitable for ages 3 to adult. Hop on one of our tractor-drawn wagons for a ride through our lush orchards and fields planted with summer crops. This is part of what makes Terhune Orchards such a special place. Pony rides, face painting, games in the barnyard and entertainment are available for the children. When hunger strikes, visit Pam Mount’s Blueberry Bash Buffet full of lots of tasty blueberry treats–great for lunch or a quick snack. Try our blueberry-apple crisp, blueberry drinks, blueberry muffins, blueberry cobbler, blueberry jam, and blueberry salsa. 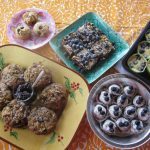 Get in the spirit by entering your favorite blueberry recipe in our juried Blueberry Bash Bake-off. (see Entry Details below). Of course the not-so-secret ingredient in every entry will be blueberries! Prizewinners will receive a Terhune Orchards gift certificate. First prize $100, 2nd prize $50, honorable mention $25. Parking is free at Terhune Orchards. Admission is $10 (children under 3 are free). Admission fee includes wagon rides, pedal tractors, barnyard of animals, music, play tractors, puppet shows and children’s games. (Additional activities available for a fee). Blueberry picking available as supplies last.